While military watches may imply the obvious, we try not to place that limitation on it. Military watches are mainly for field enthusiasts like security agents, extreme athletes, hunters, survivalists and others similar. If you push the boundaries of life, or to be more specific, mother nature, you’ll want to have a tactical watch like a military watch! Even in the most extreme of conditions, a military watch is expected to perform without any hitch. And that’s with its form generally unscathed. 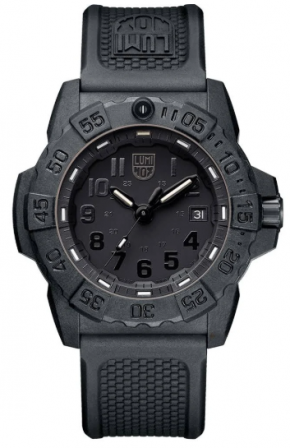 Tactical watches and clean dials are a match made in Heaven. At least for the enthusiasts. In the case you want to get your timepiece wet, the watchmakers expect it. So, a watch in this category is water resistance to an acceptable level. Night time is a favorite of outdoor enthusiasts, so a timepiece that lacks night vision shouldn’t even be regarded as tactical. It doesn’t make much sense for the piece to run for a measly 24 hours. So, these watches have battery life good enough to impress in even the strictest circles of outdoor fans. For tracking your movements outdoor, and also for providing time with better precision. The basic unit of the ET series is a quartz watch with a nifty 16-point compass for map tracking. On the outside, it has a thick and textured resin band that does its job comfortably enough. That is, it makes the watch pleasant to wear while being super durable. However, on the low, the hour/second figures were what we noticed right away on the negative display. They offer great readability, which is further complemented by the Indiglo backlight. Other features include vibrating alarms, a stopwatch, and a countdown timer. The Timex watch costs about $70. 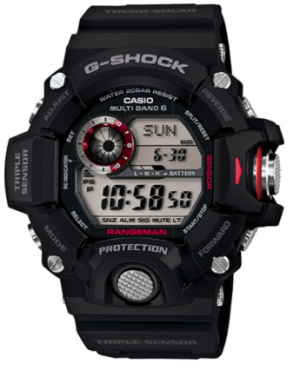 The Casio Rangeman GW9400 is about $300, but it’s one of the most feature-packed outdoor gear we’ve seen. We won’t recommend it to soldiers or people in the security business, but anyone who’s outdoor most time (hikers, extreme athletes, and professional marine personnel) should get this. It comes with a compass and also Casio’s Triple Sensor. The first one helps you track your surroundings, and thus the directions, while the second provides you with information on the weather. Other than those two, the watch’s other major highlight is that it’s virtually indestructible (by the elements, improper use, and other extremes). 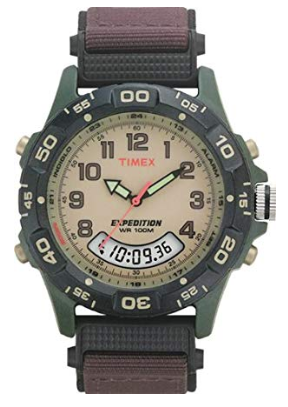 Starting from the inexpensive Timex Expedition series, expect timepieces with unique designs. The Field Chronograph is one of the collection’s top watches, and its variations feature a practical design. 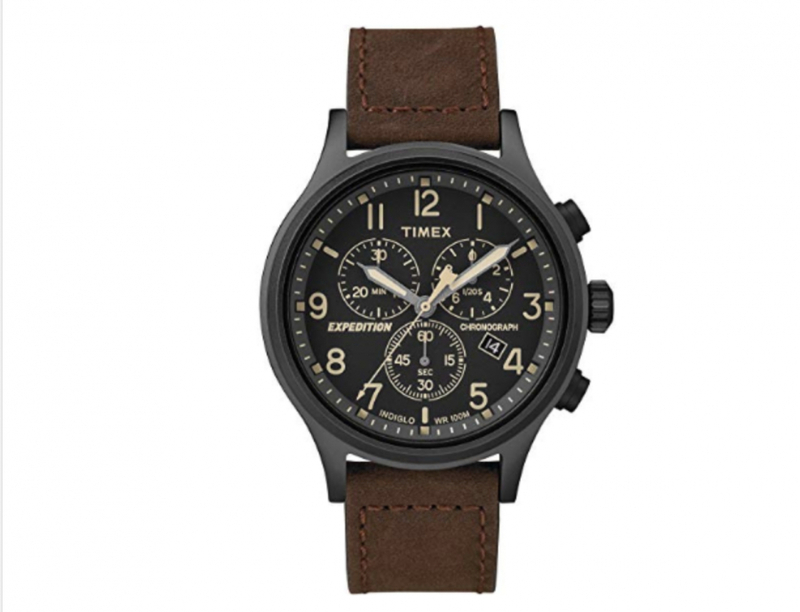 That is, you can choose either a brown fabric or leather strap, while the dial remains a dusty black. The dial is also very informative, with the presence of three sub-dials that track minutes, seconds, & 1/20 of a second, up to 30 minutes. Additionally, there’s a date display at the 4 o’clock mark to complete the whole, functional vibe the watch gives off. If your work or your preference compels you to go for watches that offer pure functionality, get the Evo Navy Seal Blacked-out from Luminox (a quartz-type watch). It comes with a clean, blacked-out dial, scratch-resistance crystal, and luminous clock hands and hour markers. Having said these things, don’t think the form factor should be scoffed out. The case is black polyester-made (carbon reinforced) and then matched with a black silicon rubber band to create a striking but accommodating look. The Garmin Tactix Bravo is a digital watch that costs around $600, and we think it’s worth it. It features a 1.2-inch non-reflective LED display that’s capable of switching between day and night vision (binocular-compatible). After that, there’s the durable nylon strap and omnidirectional stainless-steel EXO antenna that allows you superior tracking outdoors. Still, despite the above, the highlight is the experience. The watch’s intuitive user interface is a joy to use. Especially with the presence of a barometer, altimeter, compass, and ‘Smart Notifications’ from your device. All of these military watches are the best when it comes to tactical pieces for wandering outdoor. It’s up to you to decide on which one appeals to you the most. 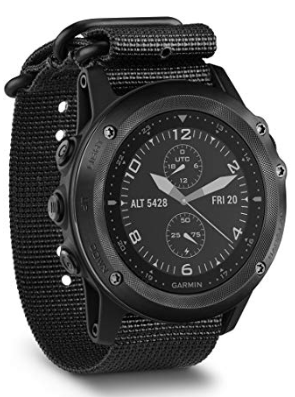 Is it the all-purpose Garmin Tactix Bravo Tactical (mind the battery lifespan though)? 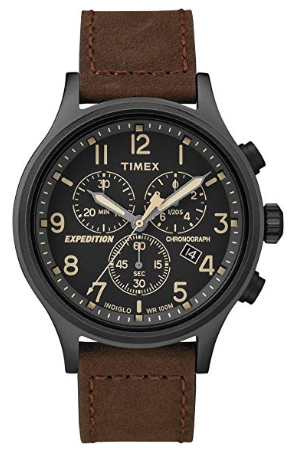 Or maybe the Timex Expedition Scout piece is preferable. Whichever one, put your needs first!